All the services and amenities you expect – and more. Congenial senior living near Aurora, IL. 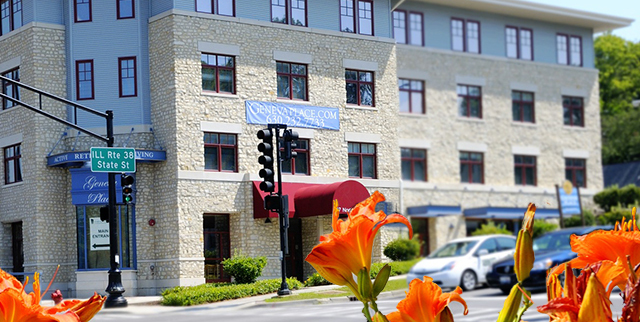 Geneva Place offers a casual, inviting lifestyle, with services and amenities that nurture your individuality, along with options you won’t find in most senior housing communities near Aurora, IL. With so many choices near our scenic campus, each day is yours to create. In our comfortable location, minutes from St. Charles and Batavia, you’ll have easy access to dining and shopping. Should you ever need help with the activities of daily living, CovenantCare at Home provides home health and private-duty nursing, and personal assistance. In keeping with our commitment to hospitality, everything in our community is yours to enjoy. The unique Covenant LifeConnect® Wellness Partnership is designed to enhance your personal well-being.